A black and white flyer with a haunted house illustration in the background. This flyer template works great for haunted house and many other kinds of Halloween events. 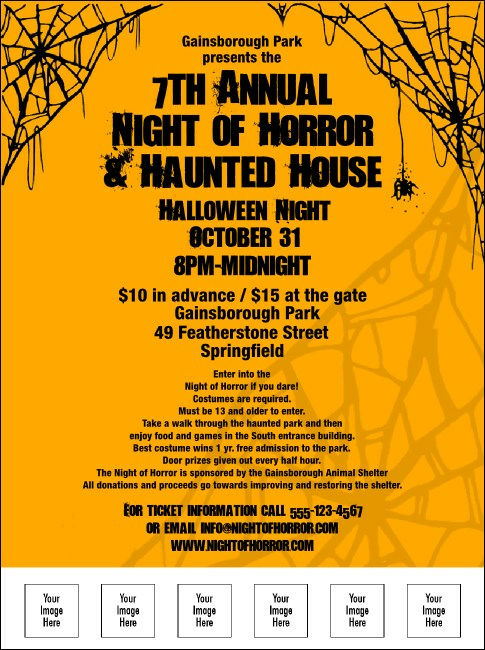 Promote your Halloween bash with promotional goods from TicketPrinting.com.